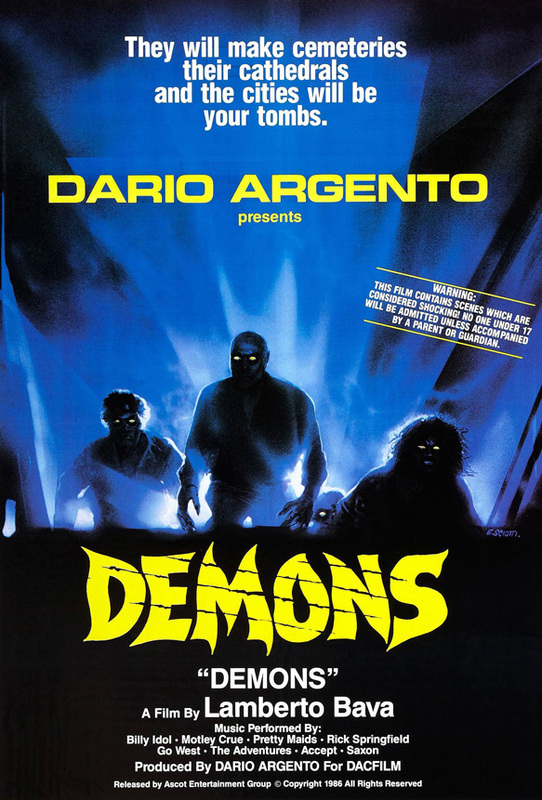 This week in Horror movie history, Demons was released in the US on May 30, 1986 through Ascot Films and in Italy on October 4, 1985 via DACFILM Rome. This Italian Horror was directed by Lamberto Bava (Macabre 1980, Demons 2 1986), son of the famed cinematographer Mario Bava. Dario Argento (Suspiria 1977, Opera 1987) not only produced the film but also worked on the screenplay with Bava, Dardano Sacchetti (The Beyond 1981, Demons 2 1986) and Franco Ferrini (Once Upon A Time In America 1984, Phenomena 1985). Bava’s son, Fabrizio, acted as a trainee assistant director while Argento’s daughter, Fiore, played the part of Hannah. The movie also starred Urbano Barberini (Opera 1987, Casino Royale 2006), Natasha Hovey (Acqua e Sapone 1983, Domani 1986), Paulo Cozzo (Nightmare Concert: A Cat in the Brain 1990, Demonia 1990), Karl Zinny (Pianoforte 1984, Act of Sorrow 1990), Geretta Geretta (as Geretta Giancarlo) (Rats: Nights of Terror 1984, Sweetiecakes 2001), and Bava himself had a cameo as a man on the subway. The music was composed by Argento favorite Claudio Simonetti (Suspiria 1977, Opera 1987) that also included a soundtrack with decade greats such as Billy Idol, Mötley Crüe, Rick Springfield, Accept, and Go West. The outrageous special effects were a combined effort between Rosario Prestopino (Demons 2 1986, Opera 1987), Sergio Stivaletti (Opera 1987, Cemetery Man 1994) and Angelo Mattei (Macabre 1980, Beyond the Door III 1989). The movie was filmed between June and July 1985 in both Berlin, Germany and Incir De Paolis Studios in Rome, although many interior shots were filmed in a real movie theatre and the exterior shots were of a still recognizable German club called Goya. Many of the cast and crew were used in other Argento works, most notably Opera (1987) but also Phenomena (1985), Suspiria (1977) and Tenebrae (1982). 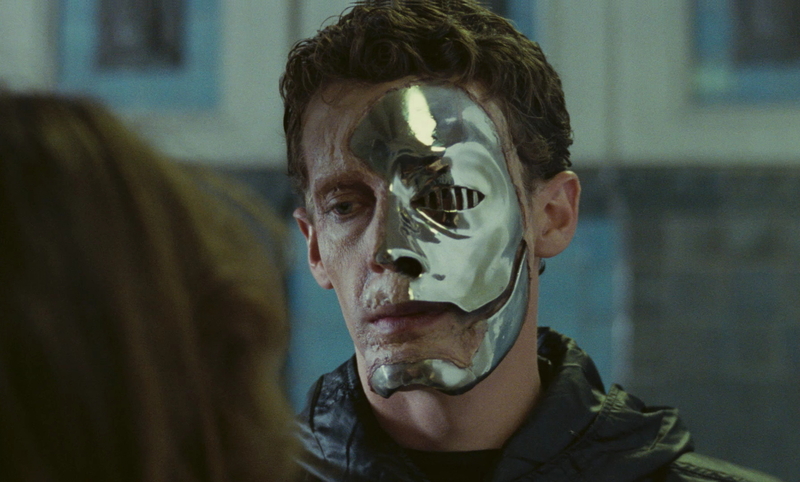 The movie starts as University student Cheryl (Hovey) gets off the Berlin subway at her stop but is chased by a threatening, masked man (Michele Soavi). When he finally corners her, she expects the worst, but he only hands her tickets to a free movie screening at the isolated, newly constructed Metropol theatre. Cheryl and her friend Kathy (Cozzo) decide to skip class to see the film. There are some interesting characters at the theatre when they arrive, including a blind man (Alex Serra) and his guide-daughter (Bettina Ciampolini), a pimp named Tony (Bobby Rhodes) and his two prostitutes, Rosemary (Giancarlo) and Carmen (Fabiola Toledo), and a couple of preppy guys named George (Barberini) and Ken (Zinny). The girls gravitate to the good-looking guys and they decide to sit together in the theatre. Before Tony and his girls go in, Rosemary finds a strangely familiar mask with a motorcycle and sword on display in the middle of the theatre lobby, but when she puts it on, it scratches her face. They think nothing of this as they walk into the theatre. 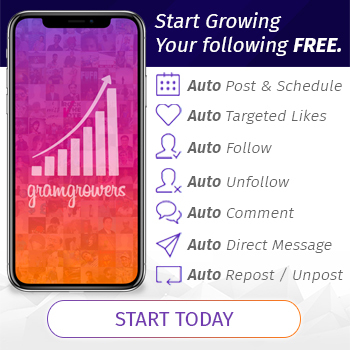 The film within a film is about a group of twenty-somethings who break into Nostradamus’ tomb and find a prophecy detailing how the world will one day be overrun with demons. One of them finds a demon mask – eerily similar to the one displayed in the lobby – and puts it on, getting scratched just like poor Rosemary. In the blink of an eye, he turns into a fanged, veiny demon and proceeds to kill off his friends one by one. Coinciding with this, Rosemary realizes her own cut from the demon mask is bleeding, so she goes into the ladies room to clean up. In the time it takes her to get there, the cut has swollen up into a disgusting boil that bursts, spewing green goo everywhere. She also turns into a bloodthirsty demon like the one in the film and attacks her worried friend, Carmen, infecting her. Carmen finds her way through rows of red curtain behind the movie screen and rips through the screen fabric, transforming into a demon in front of the rest of the audience. People panic and rush toward the exits, but find that the doors have been bricked up, preventing their escape. As a group of hapless theatre-goers try to barricade themselves in the balcony, Carmen and Rosemary gleefully and creatively kill anyone they come into contact with. The luckless wounded are eventually also turned in demons. Meanwhile, a group of punks avoiding the cops actually find a way to break into the theatre, unaware that trouble waits for them inside. One of the demons escapes through the open door, ready to wreak havoc on the city, as the punks are eventually killed off. As each of their friends and theatre companions are infected, George and Cheryl decide to fight back. They jump on the display motorcycle and grab the prop sword, both of which work and are deadly to demons. As they are slaying monstrosities left and right, a helicopter crashes through the roof of the theatre. An emergency grappling hook drops down to them and they use it to climb to safety. Unfortunately, that safety is short lived as the mysterious masked man from the beginning of the movie attacks them. Luckily, they take him out by jamming his head onto a luckily laced protruding bit of exposed rebar. When they finally make it to the street, they realize that the entire city of Berlin has been infected by the demonic curse. A horde of demons appear and chase them through the streets. Luckily, another deus ex machina shows up in the form of a Jeep driven by well-armed survivors and they escape the bloodthirsty horde. As George finally begins to relax, he glances over and sees Cheryl transform into a demon. One of the Jeep passengers takes her out without a second thought and they dump her body into the road, leaving George as the only cinema survivor. Although Demons ends on a relatively positive note with George escaping, the big picture is not so chipper as maniacal former humans rage through the streets, totally out of control and spreading their infection like wildfire. There is no cure, no closure, and no resolve – only chaos. This, combined with the bloody, gory kills and the spectacular monster effects make Demons a step above many others in the genre. The plot may be lacking and the characterization may be weak, but who watches these movies for that? 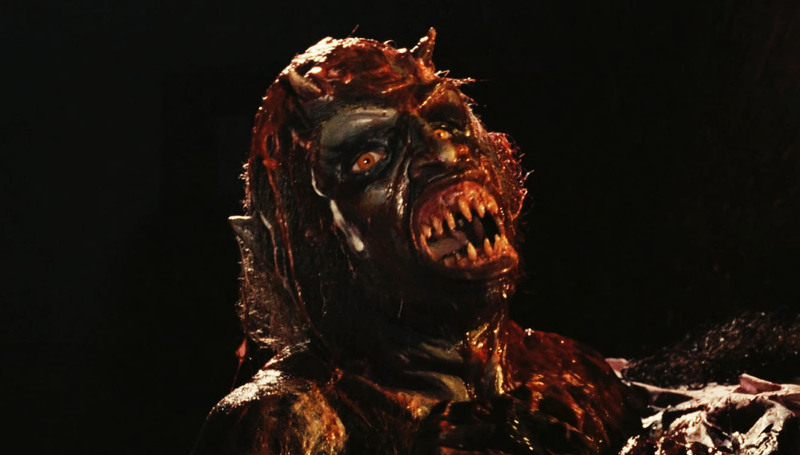 The film’s popularity spawned many sequels and sequel wannabes, including Demons 2 (1986), The Church; aka Cathedral of Demons; aka Demons 3 (1989), and The Devil’s Daughter; aka The Sect; aka Demons 4 (1991). The movie was first released on VHS by New World Home Video in 1986, and then got the DVD treatment along with Demons 2 by Anchor Bay Entertainment in 1999. Demons was also included in the 2001 DVD combo pack titled The Dario Argento Collection. The film was given a fully widescreen transfer and then re-released in 2007, again by Anchor Bay. It finally made it to Blu-ray on April 30, 2012 with its sister film, Demons 2, but they both got individual releases later that year. Rotten Tomatoes gives the film a disappointing 56% rotten score, although it did make it to #53 on Bravo’s The 100 Scariest Movie Moments countdown. 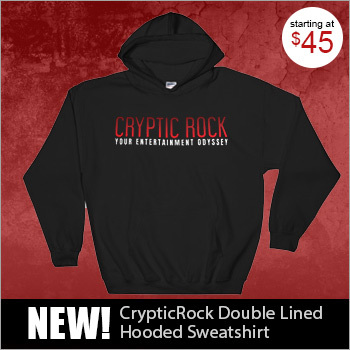 True Horror lovers know that this Argento film is not one to pass up, nor is it one to watch while eating green Jello. Hiding out in the lonely Quiet Corner in Northeastern Connecticut, Tracy Allen has been an avid horror movie and music fan since she was a young girl. Growing up in the '80s, Tracy has lived through many a change in musical stylings and movie trends, and uses that history to come up with as many colorful, well-rounded reviews as possible.